Pages dedicated to the past meetings with chosen topics, quotations, recordings etc. 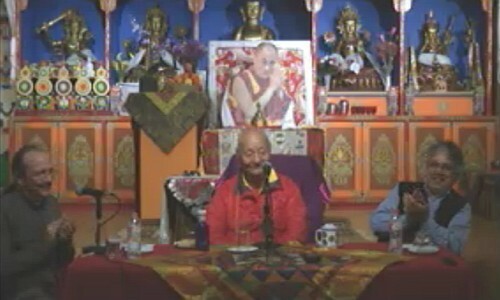 Presentations and discussions on the relevant philosophical-spiritual-historical topics that are present in the work of the same title written by Elías Capriles, a professor of history and philosophy, and a long term student of various vajrayana buddhist and atiyana-dzogchen masters, including Dudjom Rinpoche, Dilgo Khyentse Rinpoche, Thinle Norbu Rinpoche, Namkhai Norbu Rinpoche etc., spending over 6 years in a personal retreat in the Himalaya mountains, doing there atiyana upadesha practice based on receiving pith instructions from the masters. The final session with Elías Capriles over Skype took place in December 17th. Most of the sessions are available below in the archive with recordings. - The webinar cycle is finished, no more meeting is scheduled now. For a brief condensed version of his texts have a look at the triptych of his articles from the proceedings of the 2010 transpersonal conference: http://ita2010.com/downloads/en/eng_17th_Conference_Theses.pdf. The sessions used the AnyMeeting webinar platform and the last Q&A session with Elías was made over Skype. Because I am excited about Capriles' work, and being myself a practitioner of Dzogchen teachings transmitted by Chögyal Namkhai Norbu rinpoche I like very much the attempt to use this standpoint for looking at Western philosophy, ideology and more or less hidden metanarrations that drive our society at this time. I belive it could be useful for others too.